An informal essay targets enjoyment, both for the reader and the writer. It is a way of testing your ability if you can write informally. In other words, you have the freedom to express your opinion. However, it doesn’t mean that you already have the authority to cuss whatever you want in your essay. Although it is less rigid, it still has some distinctive features. So for you to have a better guide, follow the tips below on how to write an informal essay. Professors don’t usually assign topics when it comes to informal essay writing. And compared to other academic writings, an informal essay doesn’t have to follow certain standards. Rather than being formal, it tends to be more personal. You can tackle certain issues, controversies, or even your personal experiences – anything under the sun. As the name implies, an informal essay must be conversational. It is like you are talking to your readers, to catch their interests, mixed with amusement. You can directly speak to your readers in such a way that you don’t have to worry if, whether or not, your personality gets evident. You don’t have to hide behind your lines. In other words, you are fee to be yourself. To reach your readers, just let your thoughts flow – from your mind , up to the tip of your pen, and until it gets into your paper. Let your readers see how you feel on a certain subject, and speak to them in a more personal tone. Though it is an informal way of writing, you still have to construct a thesis statement which is the main idea of your essay. Just think of a certain topic and deliver it to your readers the way you want it. There are certain techniques in making an informal essay more appealing to the readers. One is the so-called 'compression' wherein you stress the important points in your essay. The other one is 'time inversion' on which you can start the essay by describing the middle part of an event first. Next is 'withholding' wherein you stimulate readers to raise questions in their minds, yet you withhold the information. And the last is 'foreshadowing' in which you make your essay unpredictable by creating a thrilling atmosphere. Don’t overdo the informality, and don’t forget to edit and proofread your work. But the bottom line is you don’t have to follow any rules. Just because it is called an informal essay, doesn’t necessarily mean that it has no structure. Same with other types of writing, you also have to plan on how you are going to present your idea. But the good thing is it is mainly written for pleasure, yet it should also be informative. Still confused? 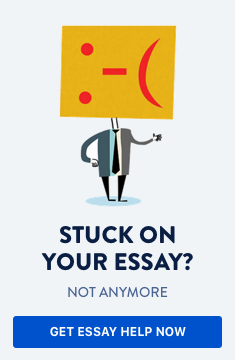 Just follow the above-given tips on how to write an informal essay or contact us for help.